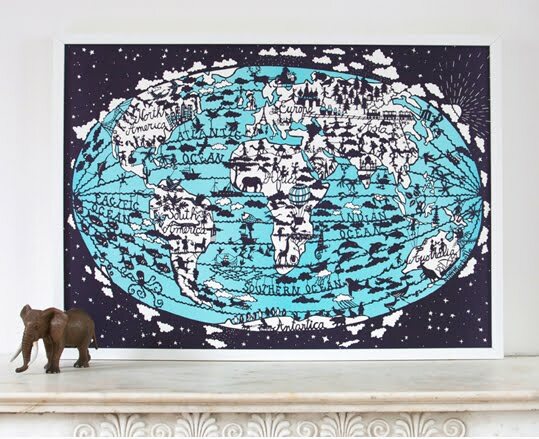 Julie at Famille Summerbelle has a new print available online–a world map! 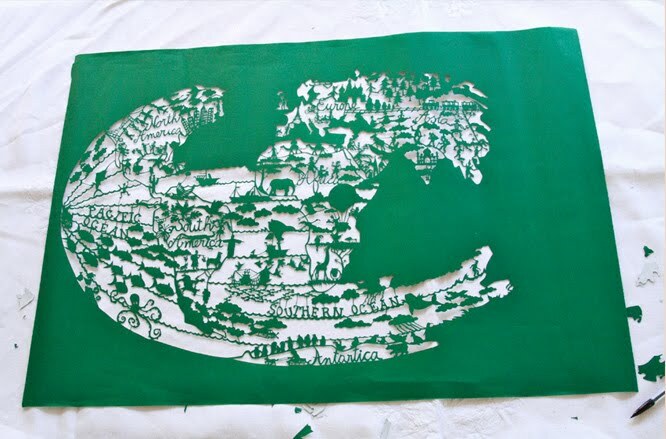 Remember her fantastic city prints? 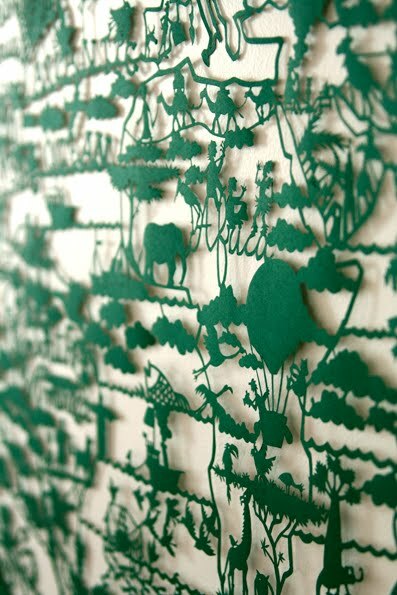 I love seeing the process behind her papercuts (as fondly recorded by her husband) on their blog.